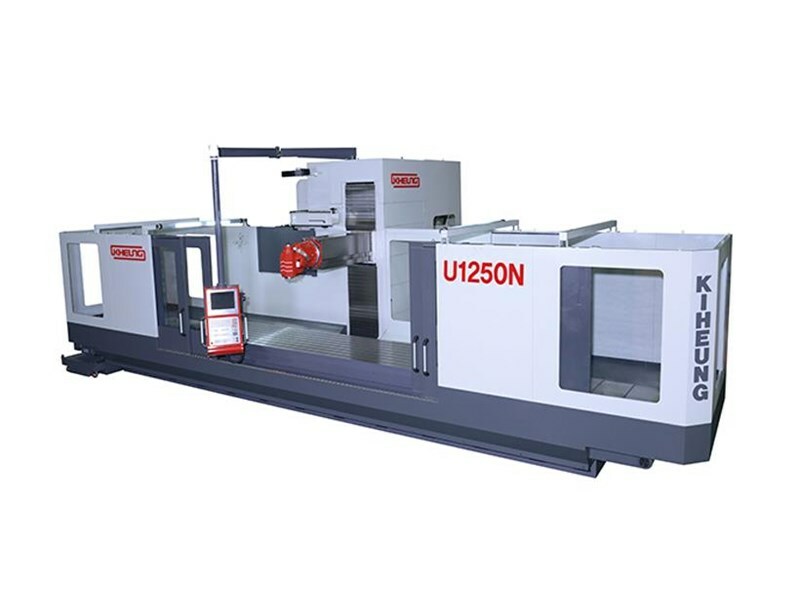 U1250 is designed for heavy machining and medium sized parts! it can support work piece up to 16,000kg and milling performances, power 42kw and torque 1636Nm. 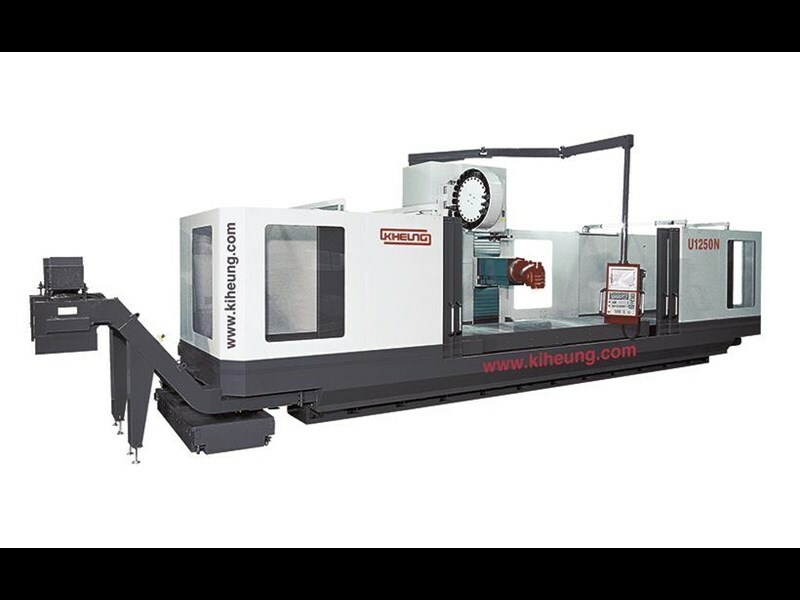 For the high accuracy, cross Y-axis Ball screw has the internal oil cooling system. 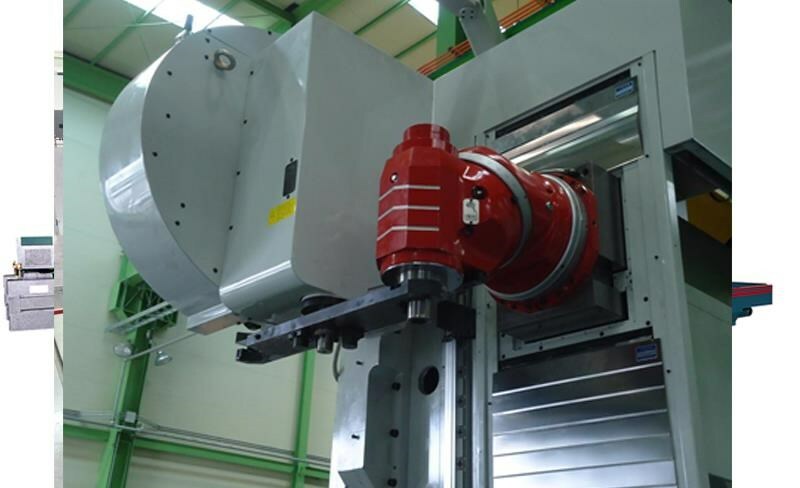 For the perfect movement cross Y-axis there is the saddle housed in the column with 3 slide ways and 3 gib ways together with the strong bed, rigid column and ram, they further contribute to the precision and rigidity of the machine. For the long life geometric accuracy and no Ram drooping of Y-axis, there are the combination of box way design, INA steel way on the column and INA roller shoes on the saddle. Also excellent accessibility to the working area, and the operator protections are provided including complete enclosures which allow a perfect chip disposal, coolant containment and can be the noise damper. 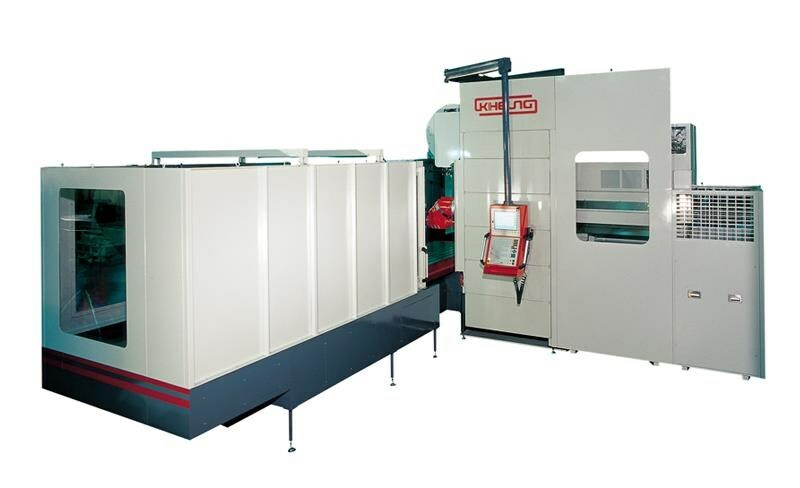 The air blow function is standard to keep chips from falling into spindle, and 100% balanced design with low vibration performs high precision machining. LM ball screw support system with the ball screw vibration absorber can make the vibration-free running, the noise reduction and also the no accuracy deformation. Also High rigidity KORTA ball screw with hardened C3 class double nut ball screws are preloaded to minimize backlash, provide high precision movement, and reduce heat deformation on all axes. Furthermore spring type pretension can minimize thermal distortion. 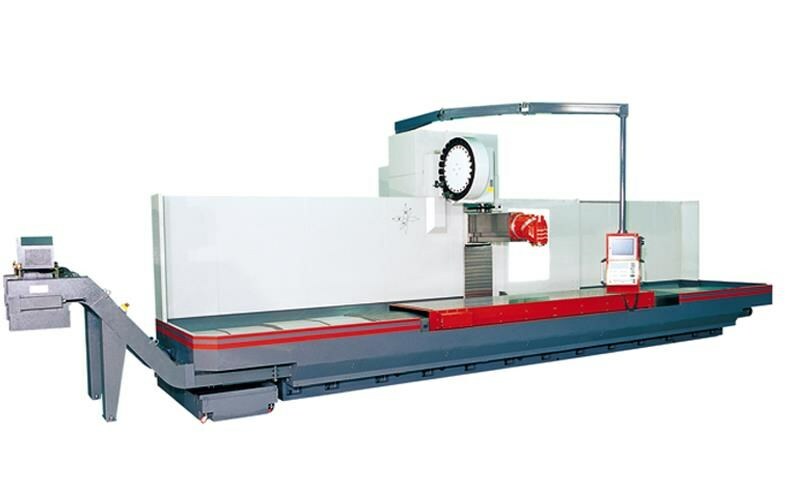 So this structure can be very stable with good rigidity suitable for both heavy duty rough operations and the accurate finishing machining. Max. 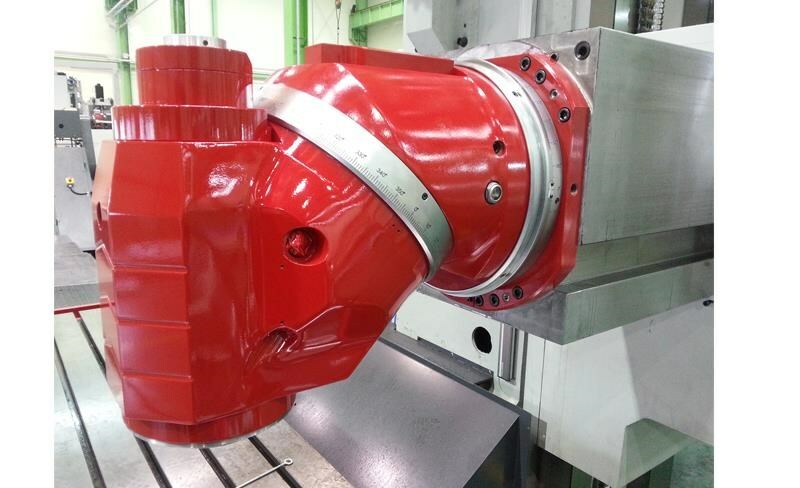 spindle speed 4000 rpm - also in continuous operation - is ensured with high quality component, such as spiral bevel gear (Germany, Tandler) and bearing(Sweden, SKF) as well as head cooling system, which is supplied as standard. Also it incorporates top quality ZF gear box arrangement as standard. Other features such as Heidenhain linear scale, standard thermal compensation system contribute to the high degree of accuracy.